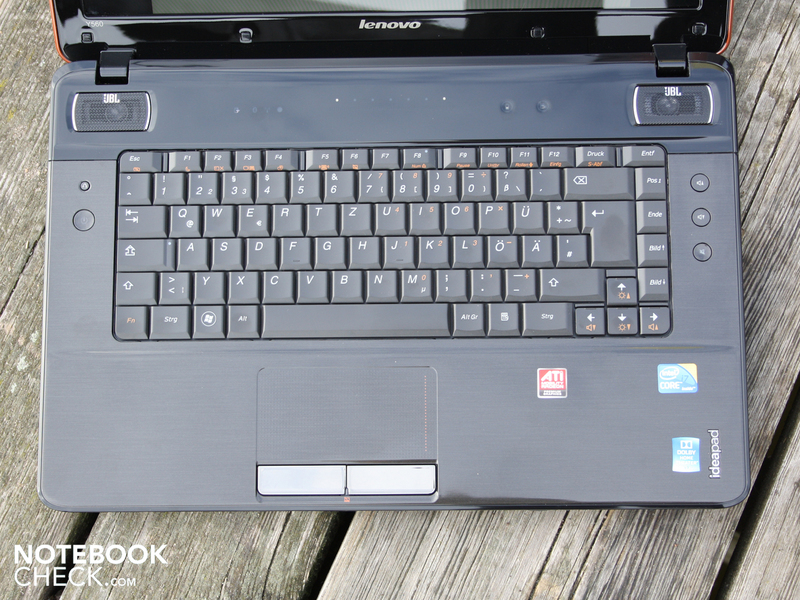 Lenovo Y560 M29B9GE: Quad-core CPU 720QM and ATI Radeon HD 5730 for 860 Euro. Is there a catch? What consumers like is powerful hardware at a good price. 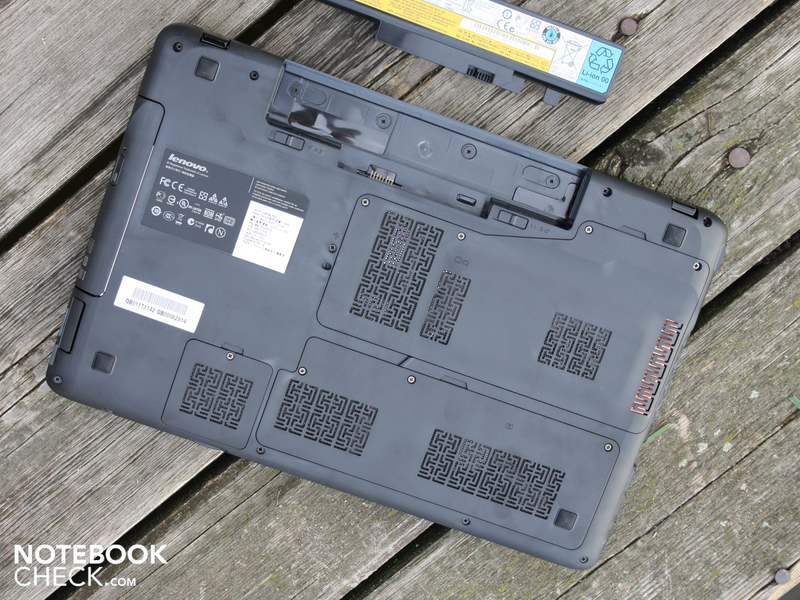 With its Y-models the Chinese manufacturer Lenovo wants to appeal to consumers that it can't reach with its trimmed down Thinkpad models (SL series e.g. SL500), its Workstations (e.g. 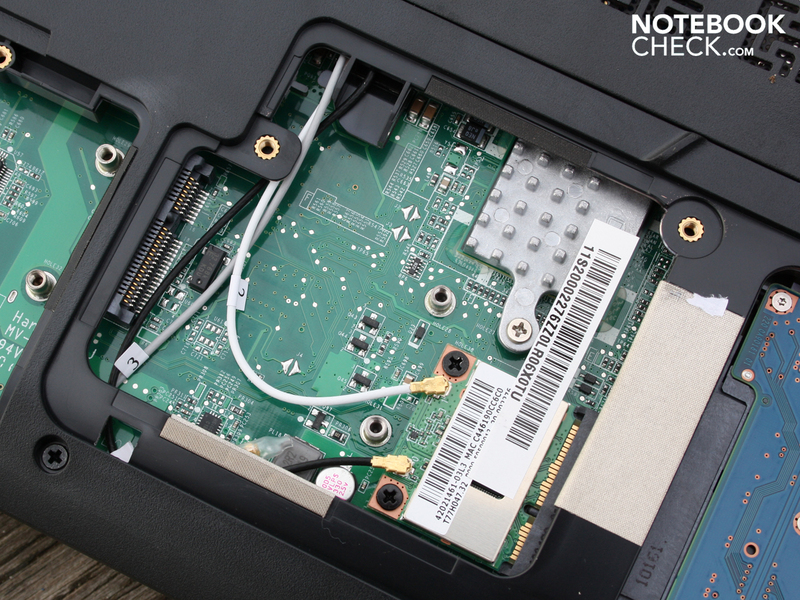 Thinkpad W500) or the classic T-series (e.g. T500). This means performance-oriented gamers or multimedia aficionados that precisely check up on the configuration before they click on 'buy'. 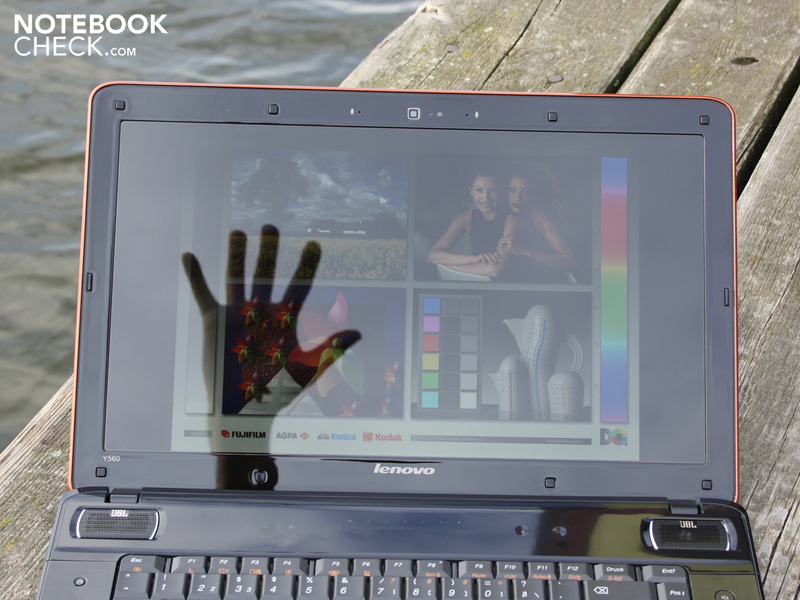 The 15.6-inch system at hand, the Lenovo Y560M29B9GE_4GB, costs 860 Euro (without Windows!) and comes with an ATI Radeon HD 5730 alongside an Intel Core i7-720QM. That sounds extremely interesting, as the 7.282 3DMarks2006 strong GPU is otherwise rarely found in any other laptop. 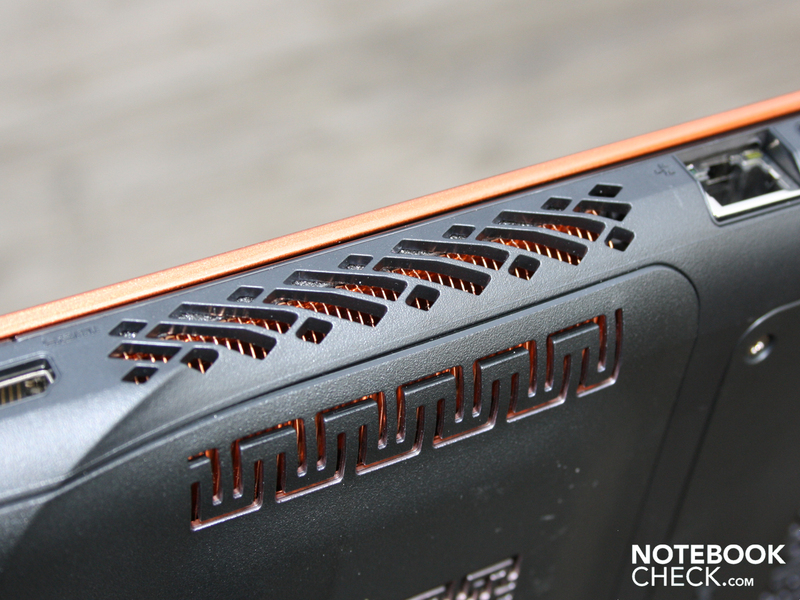 We've already looked at the good gaming combination of HD 5730 and i5-430M in the MSI GE600. Can the enhancement with the real quad-core processor, the i7-720QM, fetch out more frames per second and can the HD 5730 clearly set itself apart from the GPU gaming beginner, the HD 5650? How do the ergonomics and workmanship turn out? The answer to these question and much, much more are to be found in our test report. 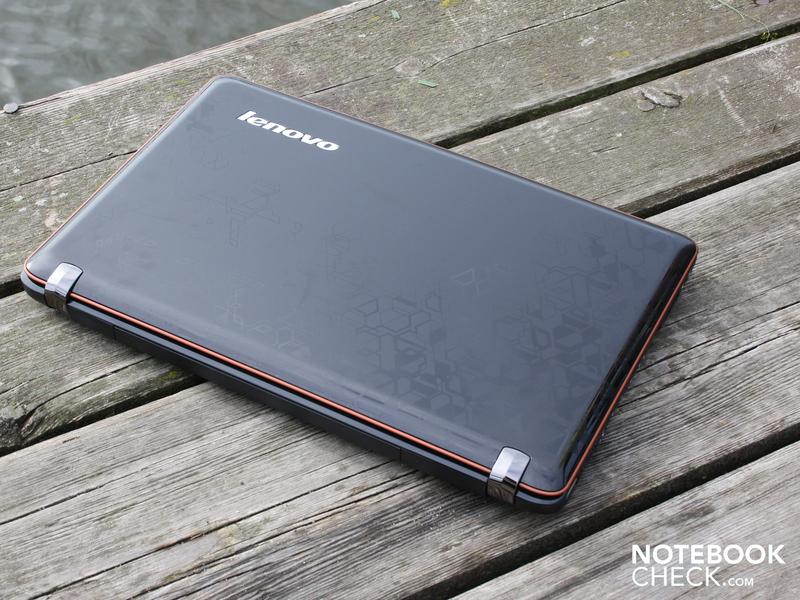 Whoever catches sight of the Lenovo Y560 sees an outwardly classy and extravagant laptop. The finish of the matte-plastic lid is sporadically interspersed with small, reflective elements. Depending on the light exposure these are either clearly visible or not visible at all. A delicately bronze band borders the lid, which effectively enhances the otherwise monotonous brown-black desert. When it comes to working environment, the user is presented with reflective high-gloss surfaces. It's surely not everyone's cup of tea when wrist-rest areas, the touchpad and the quick-start bar are covered in finger prints before long. The hands of human users are simply not clinically clean and users with fabric gloves are yet to cross our path. The borders of the display and the panel itself even carry forward the high-gloss style quite unashamedly. The matte keys of the keyboard seem to be like a calming oasis in a hectic glamour world. The hand support gives slightly on the right alongside the touchpad. Otherwise the surface is sturdy enough to play on it. This is also true for the keyboard to the same standard: on the whole it sits firmly in the laptop, and only under strong pressure it can slightly be dented in the right area. 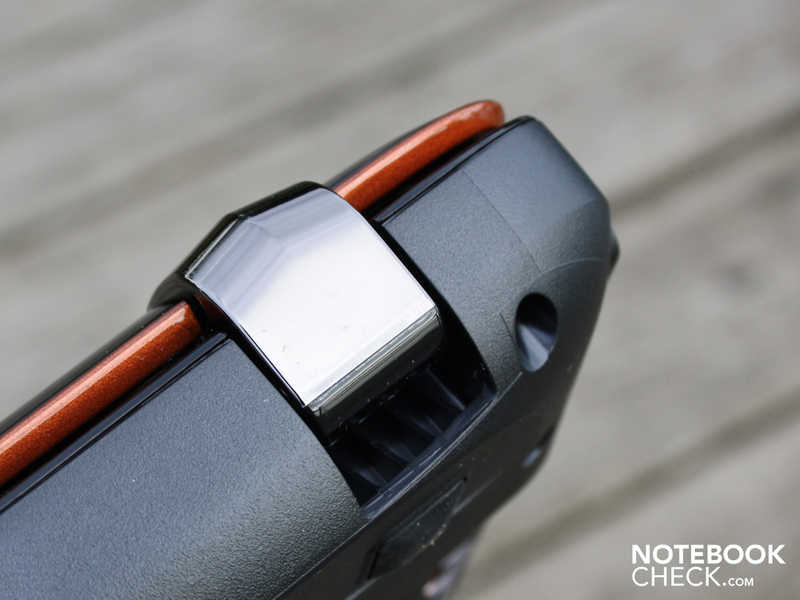 The quick-start bar above the keys is sturdy and the loudspeakers are cleanly edged. 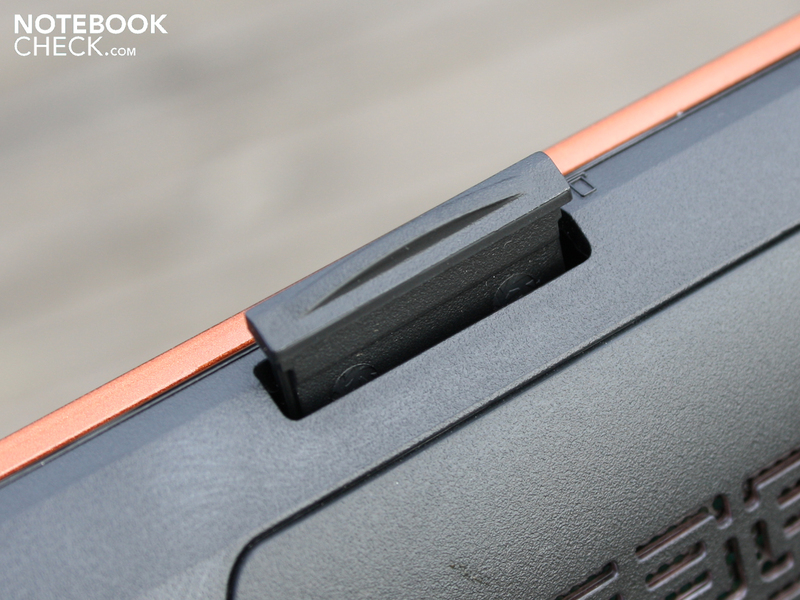 The hinge passably holds the lid firmly, but is solidly mounted onto the base unit. The covering of the hinges is admittedly mounted limply. The base unit otherwise has no particularly strong strut sections. With two hands we can twist the chassis with little effort. 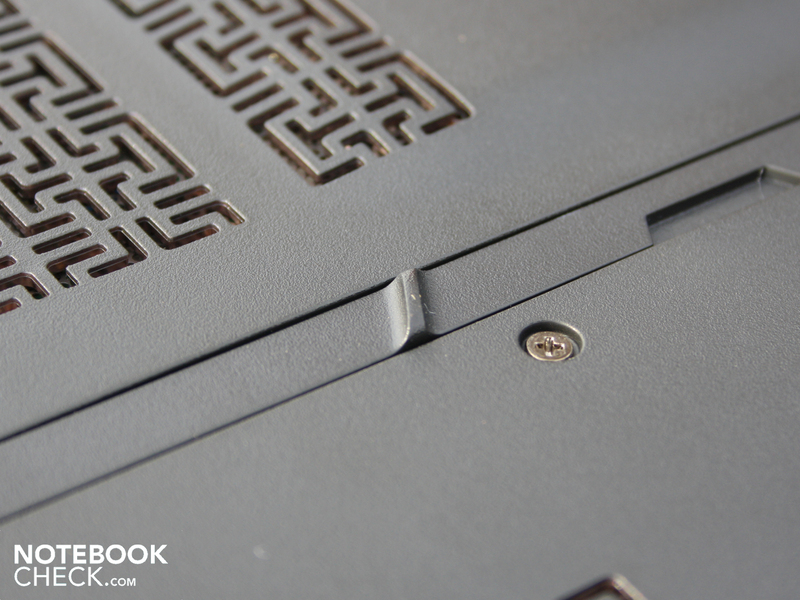 Also above the optical drive the surfaces on the upper- and underside slacken. If you press towards the front on the front, on the right of the hand rest area, a clear creaking of the plastic components can be heard. Even if the leeway for bends isn't particularly big, bending really lets the quality of the case down. As there's no lock for the lid, accidental opening of the display during transport without a bag cannot be ruled out. 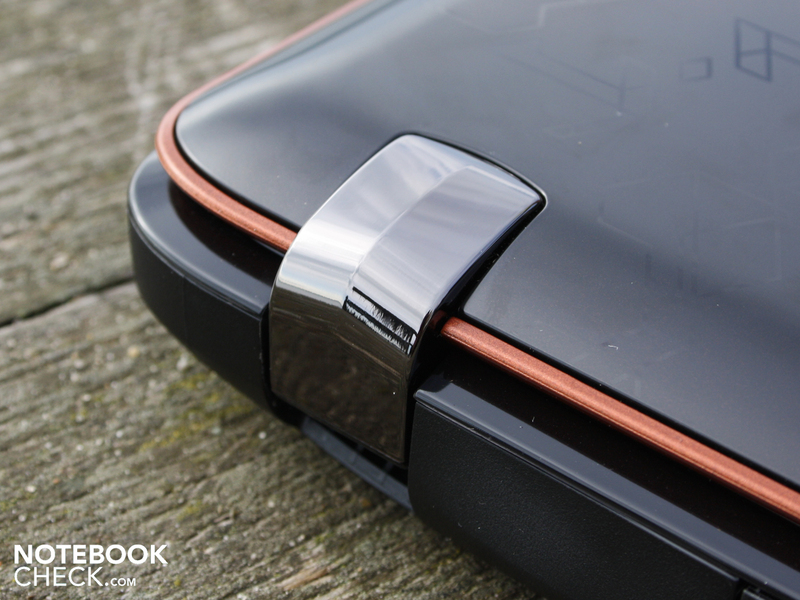 The hinges don't have enough power to hold the heavy display headlong on the chassis. 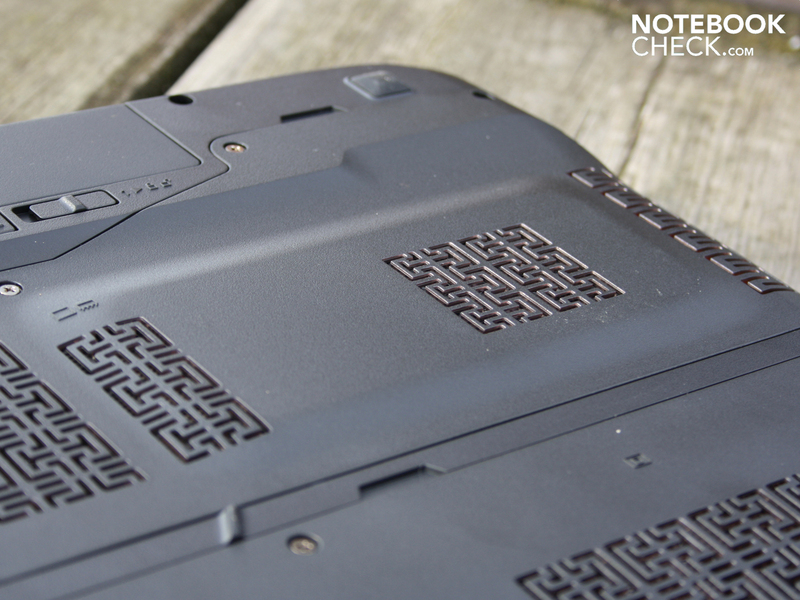 The base plate has openings aplenty for taking in cooling air. It's exactly these openings that clearly bend under pressure. The display lid is susceptible to scratches and fingerprints on the surface and on the borders. With both hands we could twist the borders slightly. The surface of the display, however, turns out to be stable and strong. Only in the centre could we easily dent the section with a finger. Strong pressure is needed to cause pressure marks on the TFT. Multimedia expandability in the private sector is a given. For fast external hard disks there is, indeed, no USB 3.0 but instead eSATA. External flat-screens can be connected to the system via HDMI or via the analogue VGA interface. 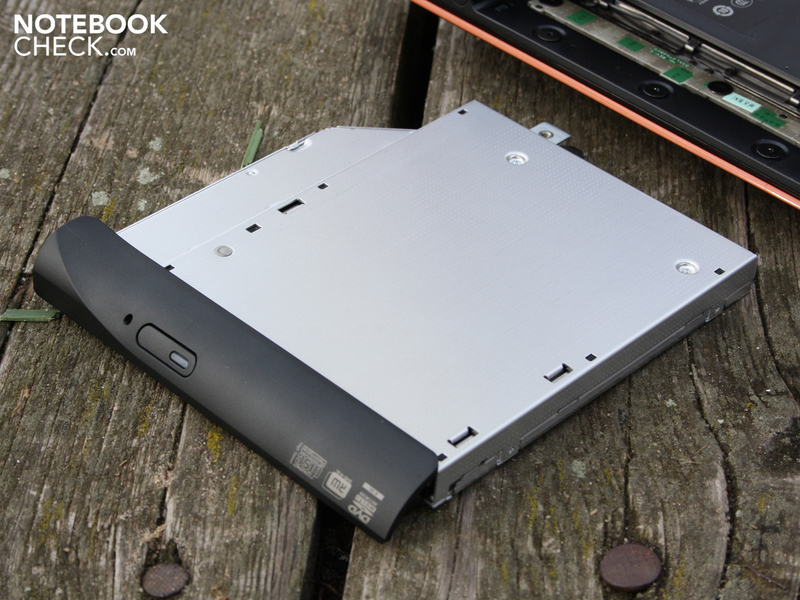 If you want to upgrade to FireWire, USB 3.0 or 7.2 sound output, you'll have to use the ExpressCard34 slot. The positioning of the connections seems partly sensible, partly awkward. USB, ExpressCard34 and eSATA are on the right at the front and indeed comfortable to reach, yet the particularly bulky eSATA cable can take away a lot of place on the desk. On the left it looks a bit better: HDMI and VGA sit to the rear, whereby the bulky cables can quickly be led away from the user. The obligatory Ethernet slot (RJ45) is of course on board. Users can quickly switch their multitudes of data over to the local network via the Broadcom NetLink Gigabit Ethernet adapter. This also supports the draft-N standard. 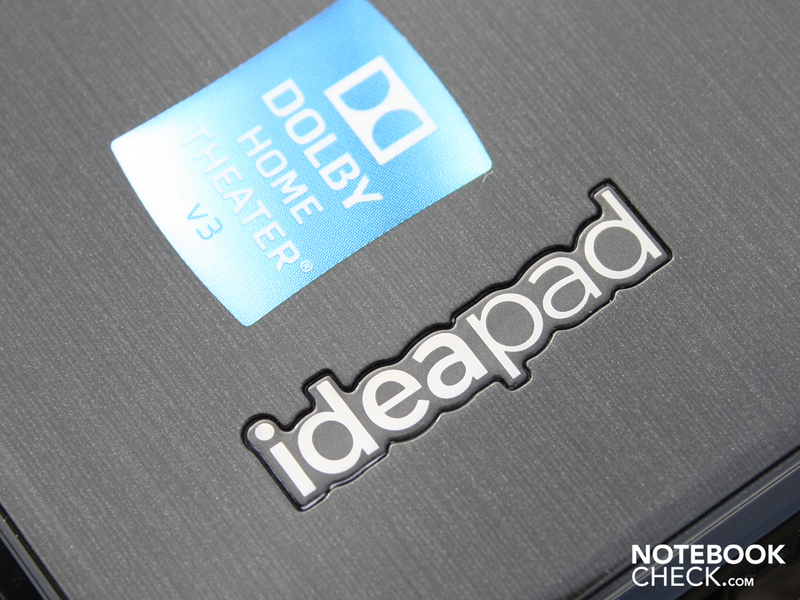 Bluetooth 2.1+EDR does not lack, as you would expect from such an elevated multimedia laptop. When it comes to the wireless- and network-connections the Y560 is at the height of the times. 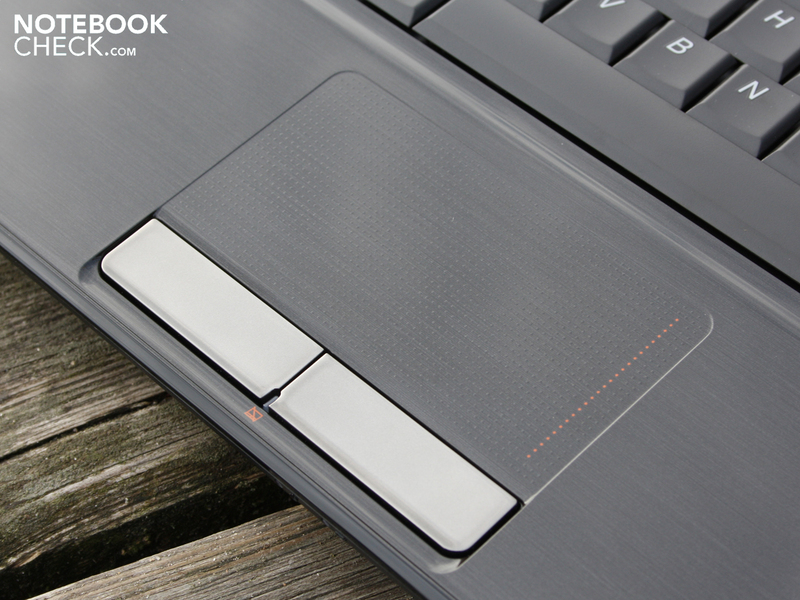 Lenovo goes for a classic key form, with beveled key edges and a small amount of space between keys. The arrow keys were spatially offset for better blind access and they have a plastic marking. 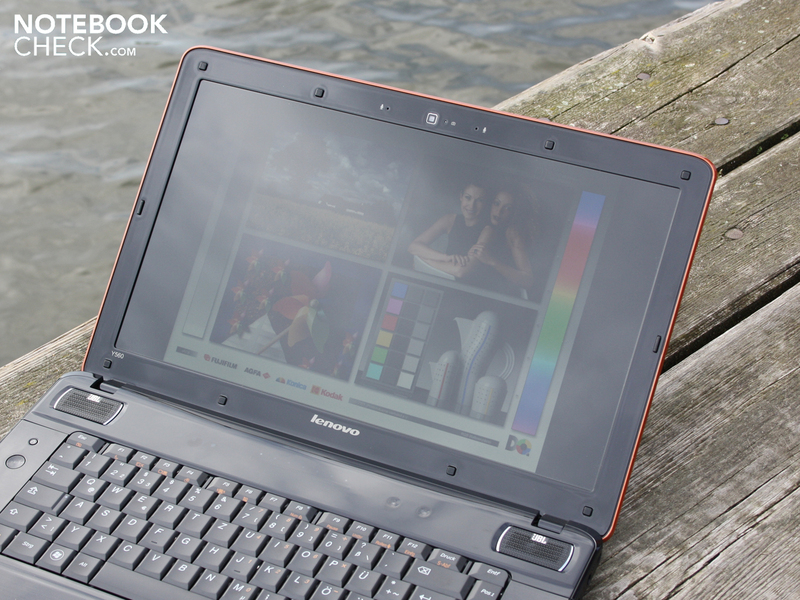 Lenovo does without a number pad, just like in many other manufacturers' 15.6-inch systems. This will likely please the office user less, but it allows keys in the standard size. Only the spaces between keys are somewhat smaller than on a normal desktop keyboard. The keys have a very large stroke, a stable attack on the entire surface and a very clear pressure point. The typist thus has a very good feedback from the keys. The clicking noise is slightly rattling. 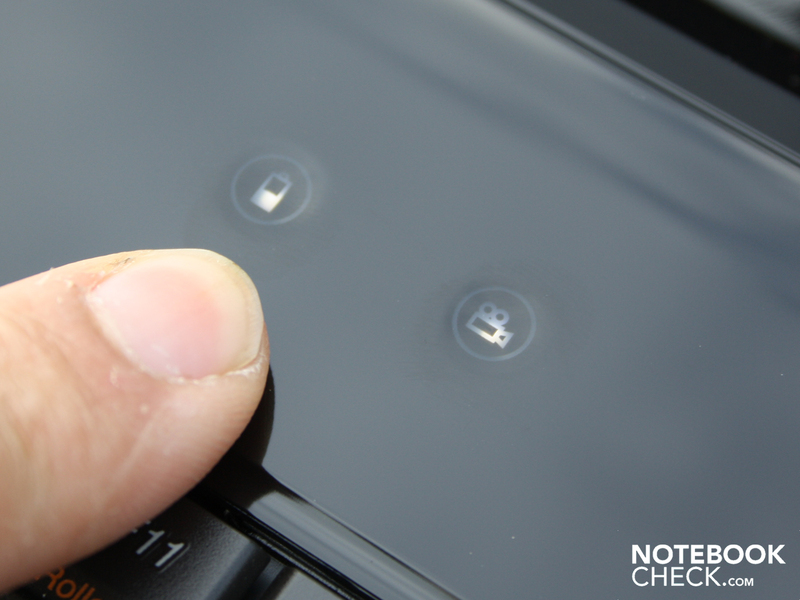 The Synaptics TouchPad (V7.4) is a modern multi-touch pad. Zooming with two fingers is as possible as scrolling without scrollbars. A horizontal (unmarked) and vertical scrollbar on the right and underside of the pads are available. The horizontal scrollbar is deactivated by default. The mouse pad has a very large surface that is sensitive right into the borders. Small pimples provide a certain grip on the surface. The rather dull sliding is, however, not to everyone's taste. The mouse keys with a very large key stroke are inspiring. They have a clear pressure point and a soft attack. Because only a small amount of pressure is required for tapping, and there's almost no clicking noise, the mouse pad assures joyful, fast work. 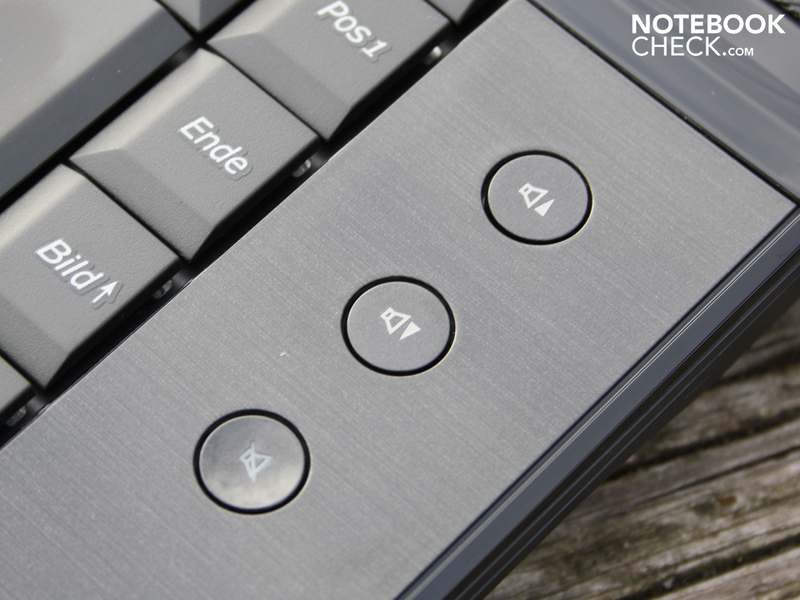 The touch inputs (capacitive sensor keys) above the keyboard unite status LEDs (HDD, Bluetooth, WLAN, PowerOn) and keys for selecting applications. 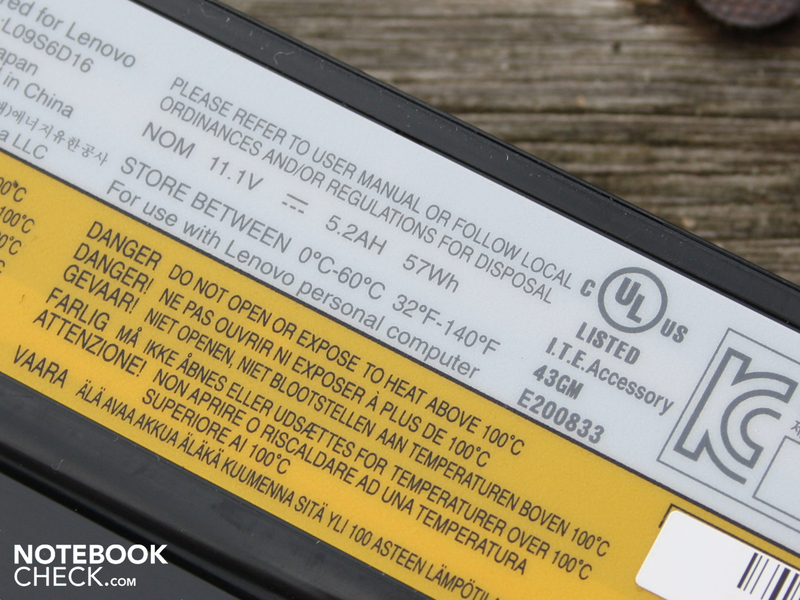 The battery symbol opens Lenovo's Energy Management. The film camera alongside this opens the OneKey Theater II. Over here the best user scenario can be selected, according to the manual. However, the manufacturer doesn't disclose what this means and any shuffling really don't change anything. Maybe in a preconfigured Y560 the energy modes are linked to the user scenarios that are meant. Our test system was supplied with FreeDOS and we installed Windows 7 ourselves. 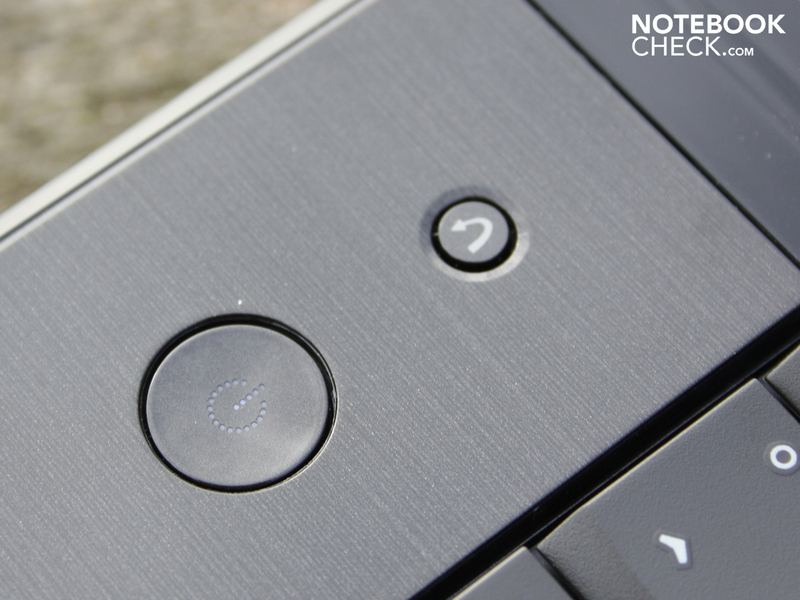 The Lenovo SlideNav bar (between both of the white points) is a gimmick. With a finger you can choose from up to eight predetermined programs. So it's a quick-start option, which can be occupied by the most commonly used applications. To the right alongside the keyboard there are three keys for easy volume adjustment. 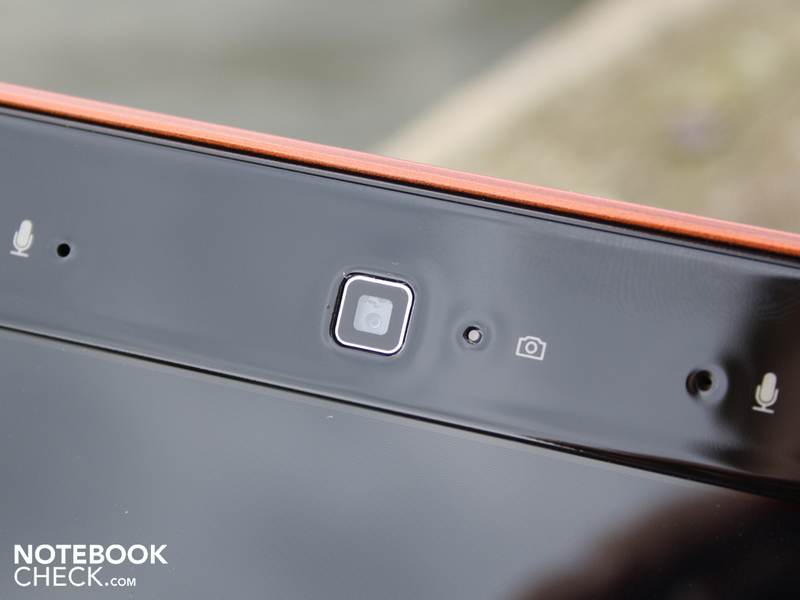 Lenovo offers a special feature with the OneKey Rescue key. 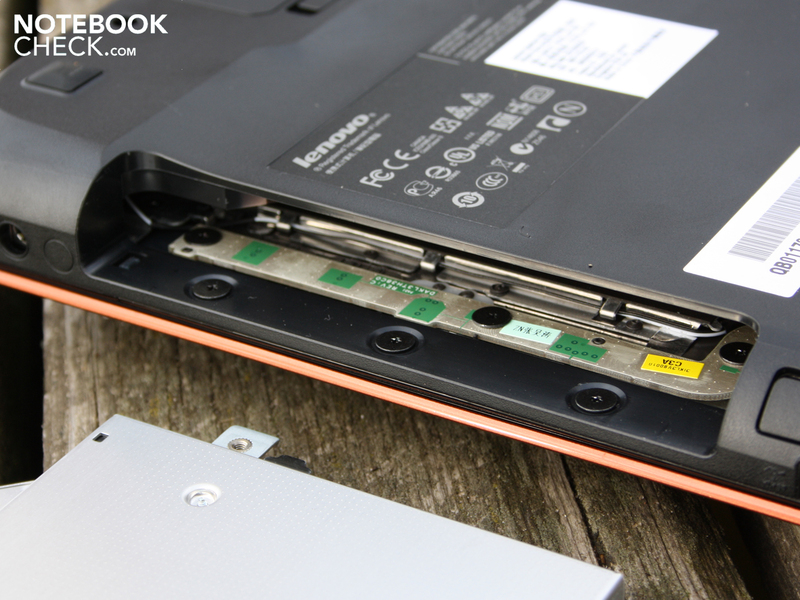 This is in all Lenovo laptops in one form or another. It activates the recovery solution of the manufacturer on a device powered on or off. Here the user can burn a recovery disc or carry out a system recovery (i.e. factory condition). The uncoated AUO panel (B156XW04 V0) has a resolution of 1366 x 768 pixels (WXGA, 16:9). This is roughly standard for 15.6-inch devices in the price class under 1,000 Euro. We consider the resolution to be appropriate. 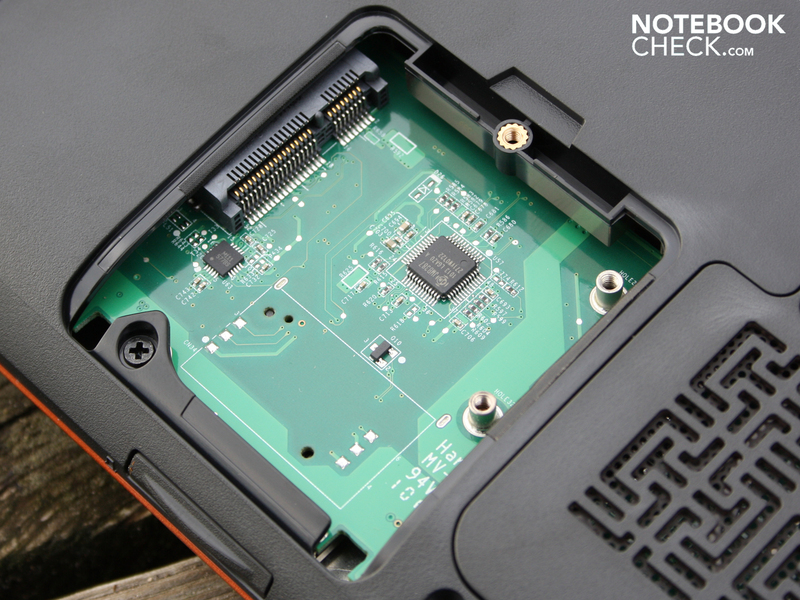 The in-built HD 5730 would in any case not be able to play current games at higher resolutions fluidly. For the best overview for complex office tasks, appropriate scaling must be chosen. The AUO panel has an acutely low contrast of 175:1. Thus it is on the level of typical office laptops or also bottom-of-the-range multimedia models. The Y56-0 can however be excused, as 90 percent of consumer laptops in our tests don't offer contrast levels on the other side of 200:1. For good contrast we're talking about 400:1 to 1000:1. Better contrast would be desirable for colour perception in images, films and games. The contrast level describes the white content of a black surface. 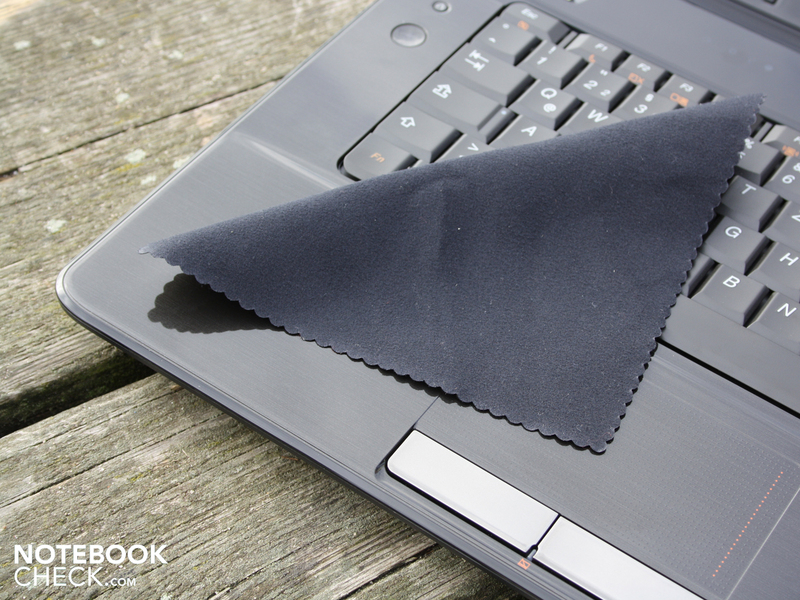 Thus black doesn't look as crisp and dark on the Y560 as it could. 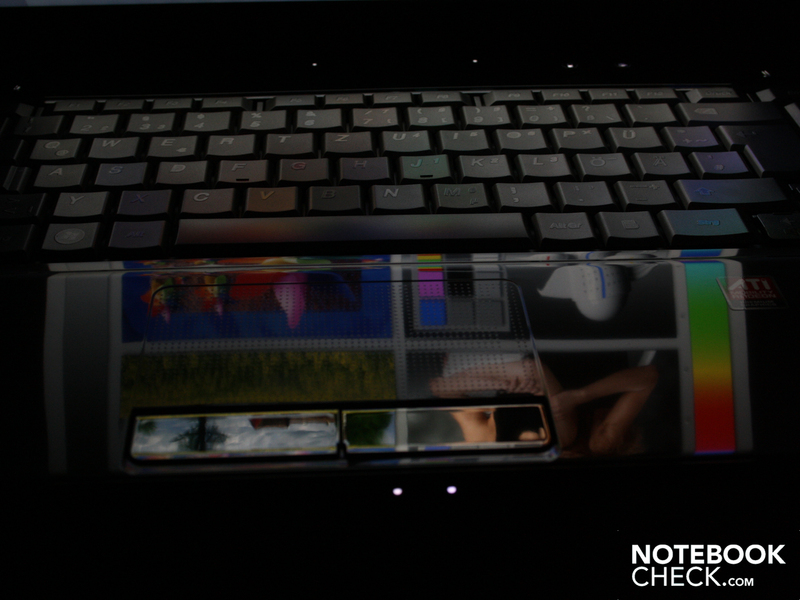 The reflecting glare-type panel improves the low contrast somewhat. Colours seem faintly higher in contrast and more brilliant than on coated panels. The brightness measurement provides below average results. On average luminance is 174 cd/m². Illumination is really consistent at 90%. The TFT doesn't overtake the 200 cd/m² mark at any point. The brightness sensor above the keyboard automatically regulates the brightness. The sensor system acts very questionably; it considers 80 cd/m² to suffice in an office illuminated only by indirect sunlight. Also at night with a very small amount of light from a table lamp the sensor doesn't venture much further, but at roughly 60 cd/m² it remains rather dark. We had to regulate the brightness ourselves accordingly. An option for deactivating the sensor isn't offered by the Lenovo Energy Management software (also not in the bios). We could thus do without the automatic dimming. 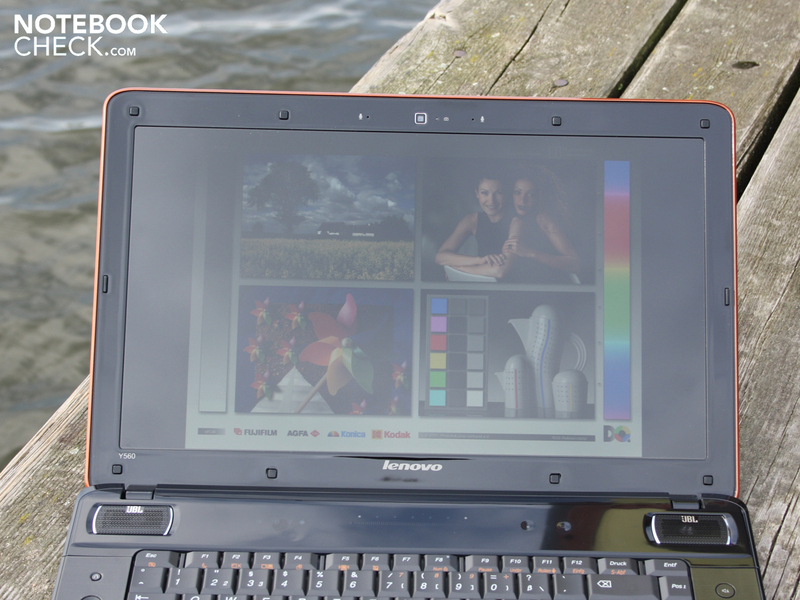 The IdeaPad Y560 in the sun! Here the proud Y560 owner won't find much joy. 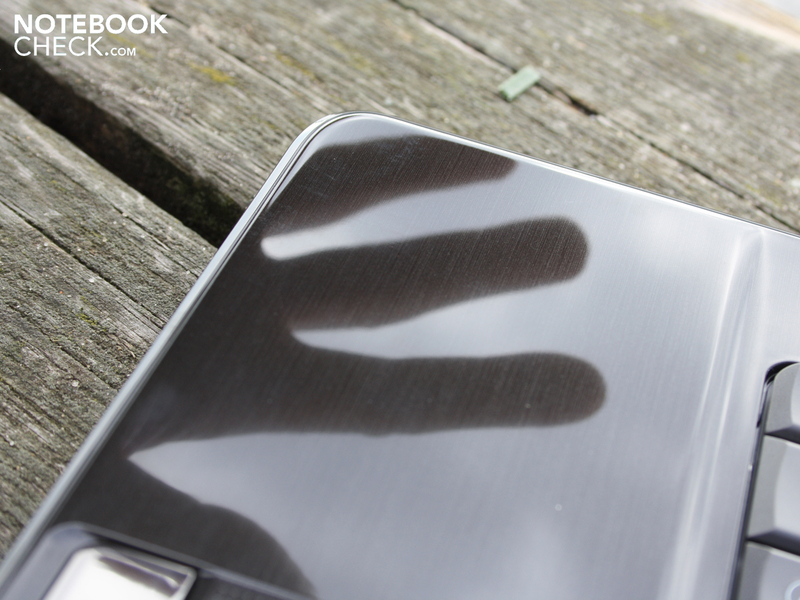 On one hand the dark case heats up very quickly and the smeary high-gloss surfaces are unappealing. On the other hand the glare-type panel lacks antireflection coating. This means disturbing reflections. The luminance at a maximum of 182 cd/m² easily isn't enough to fight against bright sunlight. Whoever wants to gamble outside has to look for a very shady place. 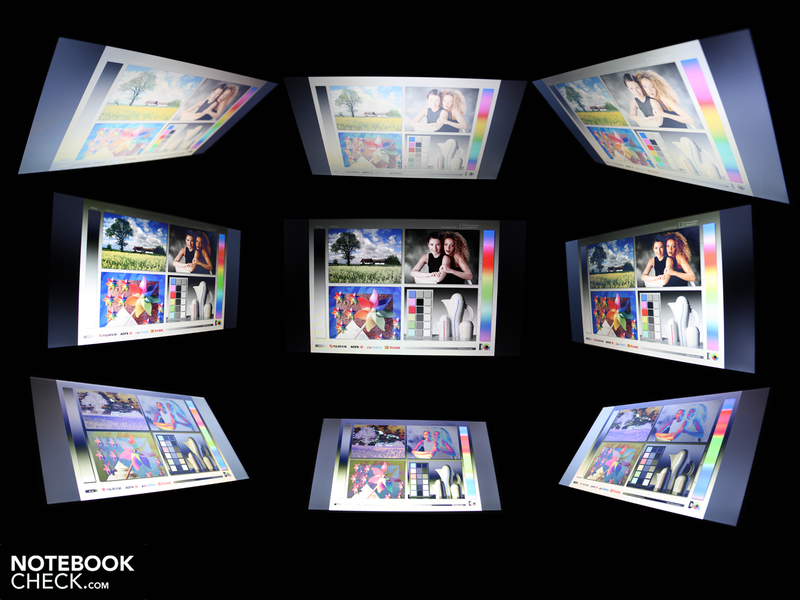 A multimedia laptop needs stable viewing angles, so viewers can see colours and text from different positions without problems. 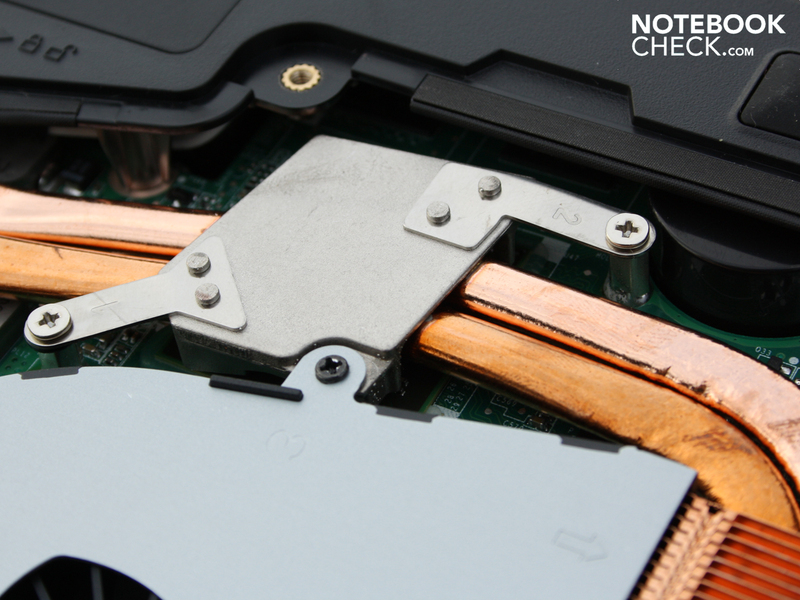 High grade gaming notebooks are considered in much the same way, because the display is the direct pipeline to the game. 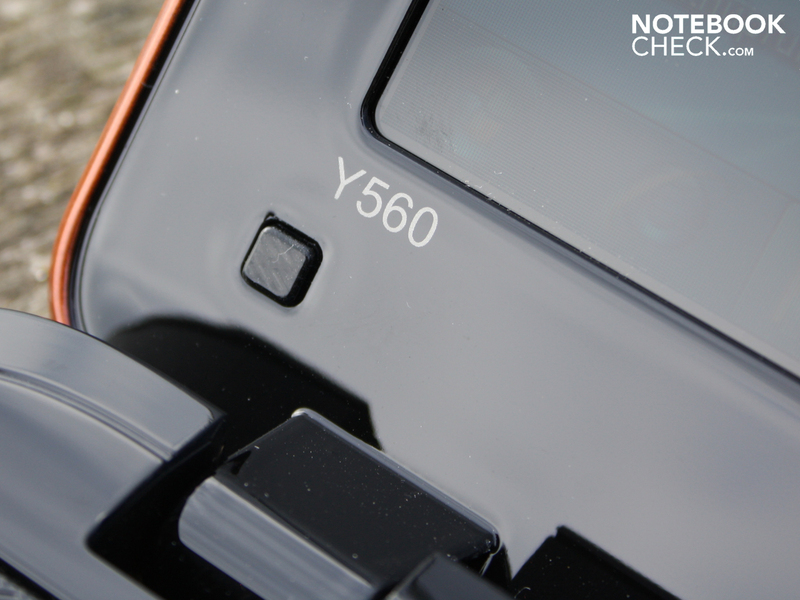 Low priced gamers like the Y560 have very limited viewing angles. Unfortunately to these belong the Y560. Horizontally the eyes can deviate up to 45 degrees and from here the colours distort greatly. If you look from below or from above the display a little at this angle then you will see the already extremely small vertical viewing angles. Vertically the colour inversion begins even at 10 degrees. Colours wash out very quickly. In the viewing angle photo from the dark room the limited view can easily be seen. 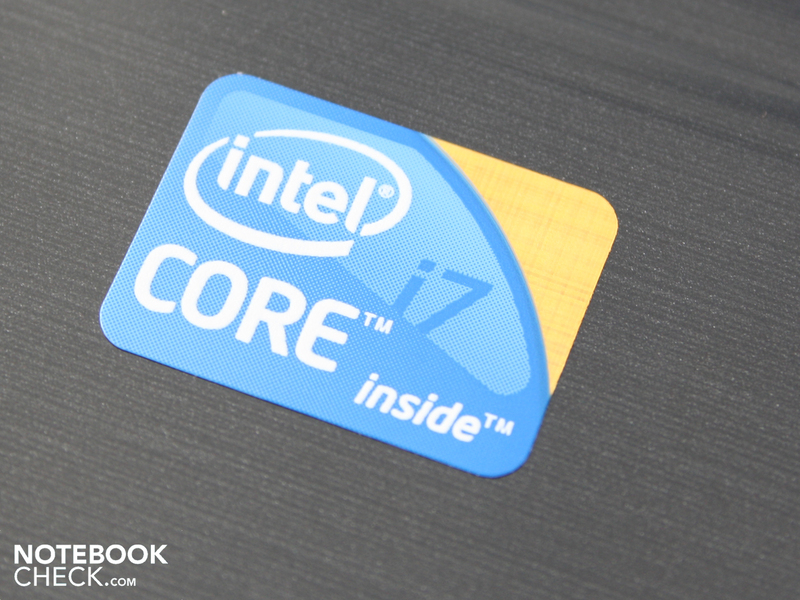 The Intel Core i7-720QM has 6 MB of level 3 cache. The TDP is 45 Watt. The CPU is one of the highest-performing processors of the 2010 Intel generation. It's manufactured in the 32nm process. The Q in the CPU name stands for quad, four real cores. These are clocked at 1.60 GHz (standard clock speed). The real clock speed in use, however, is between 1.60 and 2.80 GHz with Turbo Boost. The dynamic overclocking of Turbo Boost in the individual cores is activated automatically. The applications running at any one time determine how many cores are to be increased in speed. Thereby it no longer matters for Core i5- or i7-CPUs whether a program or game can only use many cores or just a single core. The Hyper-Threading function adds a virtual core to each physical core. Applications can thus compute with up to eight threads at the same time. These eight threads are of course not clocked at 2.80 GHz in unison, but rather 2.2 GHz or similar. Only when a single thread takes on the complete computing of the processor does its clock speed climb to the 2.80 GHz in question. 4096 MB of DDR3 (PC3-10600) lends its support to the Core i7-720QM. In our test device there are two RAM modules built in: Kingston alongside Elpida. The performance doesn't seem to be affected, although the rule of using the same RAM sticks is contradicted. The 64-bit operating system Windows 7 Home Premium (not supplied) utilizes the entire memory available, as the ATI graphics card doesn't require any shared memory. The already sufficiently well known Core i7-720QM lives up to its reputation and drives its Core i3- and i5-colleagues into the ground. In the Cinebench R11.5 CPU benchmark (64 bit, culti-core) the Y560 test system reaches a proud 3.0 points. Thus the 15.6-incher is even one tick faster than the Asus G73JH-TZ014V or the Acer Aspire 8943G-728G1.28TWn with the same processor. A glance at i5-520M systems almost isn't worth it, as these are far behind with 2.2 points (best rating with 520M: Sony Vaio VPC-Z11X9E/B). 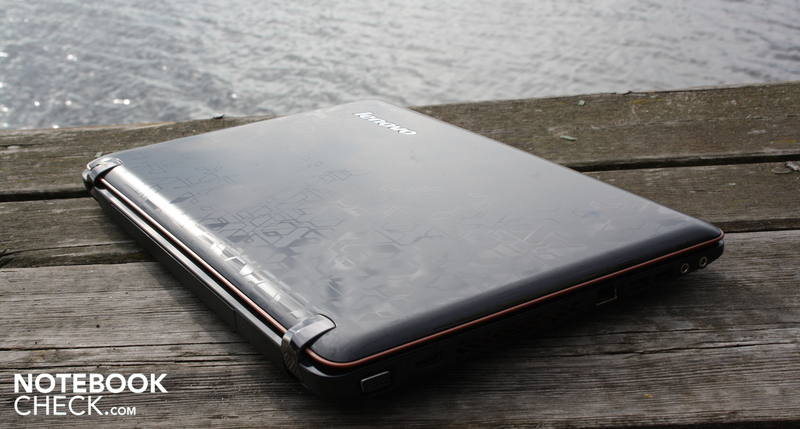 The Core i3-350M comes in third with 1.9 points (best rating 350M: Asus N61JV-JX012). Also the multi-core computing power runs at the best of form, which is typical for this processor. In Cinebench R10 Multi (64 bit) the test system reaches 10.161 points. Even the best score of an i5-520M of 8.342 points (despite 2.93 GHz Turbo Boost) cannot keep up here (best rating 520M: Fujitsu Lifebook T900). How is the powerful processor when working with the graphics, RAM and hard disk? This is checked by PCMark Vantage. 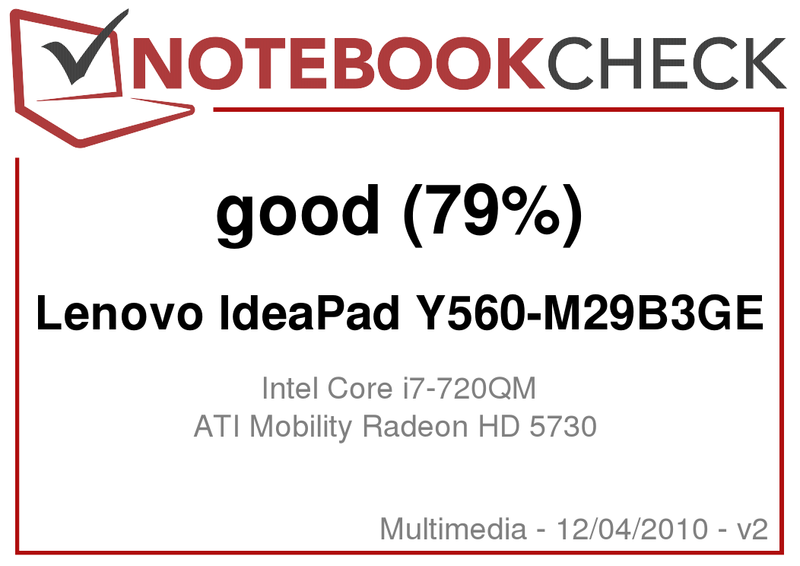 Its overall rating of 6.012 points is very high – yet approaching a few i5-520M systems (Samsung NP-R580-JS03DE, Dell Studio 1749, Sony Vaio VPC-B11V9EB). This should not be a surprise to the reader, because PCMark Vantage represents the interplay of the system components. The 520M in the aforementioned laptops is somewhat slower, but instead it offers a better PCMark Vantage Communication Score of 7.400 to 7.800 points. Our test device only reached 4.100 points. The reason: the i5-520M supports AES New Instructions (faster encryption), Fast Memory as well as Flex Memory Access. The 720QM doesn't have these features. AES is only important for professional use. 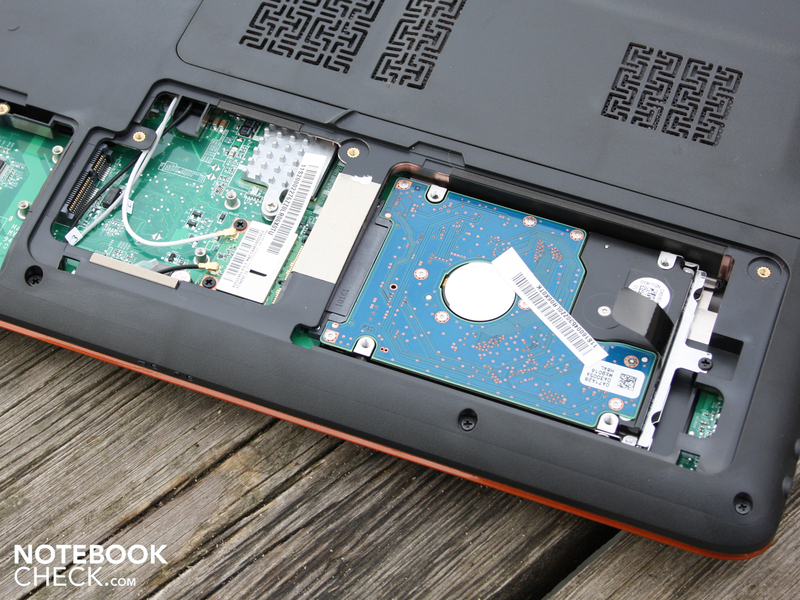 In the IdeaPad Y560 there's a fast 2.5-inch 7200 RPM hard disk from Hitachi. The 320 GByte HDD (HTS725032A9A) has a sequential read rate of 78.5 MByte/s (HD-Tune). The PCMark Vantage honours this with a strong HDD Score of 4.068 points. 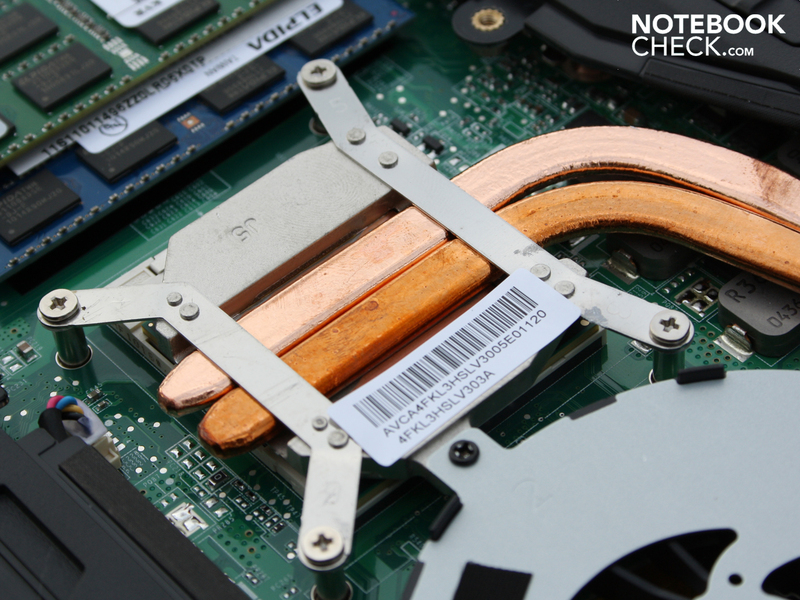 Average 5400 RPM hard disks in laptops score around 3.200 points. The GPU is an ATI Radeon HD 5730 (DirectX 11, Shader 5.0) with 1024 MB DDR3 memory. GPUZ mentions GDDR3 video memory. The measured GPU performance and the high market price for GDDR3 argue against this type. The GPU core is clocked at 650 MHz, the memory at 800 MHz (HD 5650 core 550 MHz). The HD 5730 belongs to the upper middle range of ATI cards, which gaming tests and benchmarks have already proved in MSI GE600. An Nvidia GT 330M is easily overrun by the HD 5730. The classic graphics card benchmark 3DMark2006 ends with 7.282 points. That is almost identical to the result of the MSI GE600-i5447W7P with the same GPU but i5-430M. An Nvidia GT330M reaches at most 6.545 points (Dell Vostro 3700, 720QM). The closely related HD 5650 reaches 7.076 points in 3DMark06 due to its lower clock rate (Deviltech Fire DTX, 720QM). In the real-time spectacle from the end of 2007 the eight threads of the 720QM draw a great advantage. The Lenovo Y560 reaches 36 FPS (High, 1024 x 768). 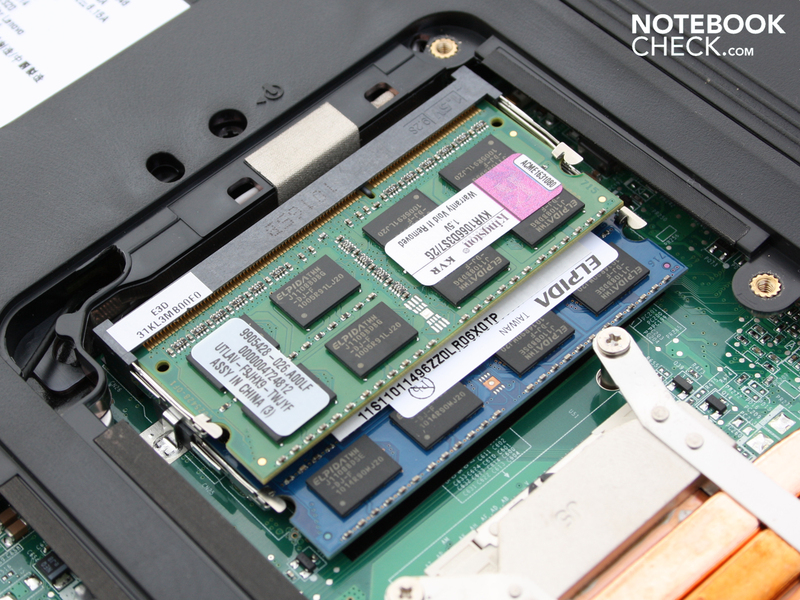 In combination with the same CPU even an Nvidia GT 330M can keep up with 31 FPS (Sony Vaio VPC-F11Z1/E). The HD 5650 is not necessarily slower, which the Deviltech Fire DTX (720QM) proves with 44 FPS. 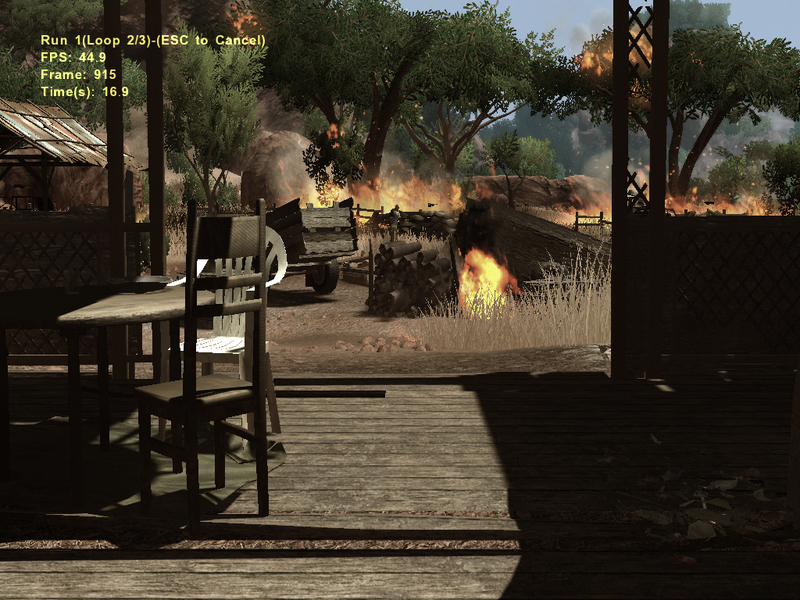 The somewhat older but popular shooter runs at 1024 x 768 pixels in high details (DirectX 10) at 51 FPS at best. A HD 5650 is slightly weaker with 46 FPS (Deviltech Fire DTX, 720QM). Far behind is once more the GT 330M: 35 FPS (Sony Vaio VPC-F11Z1/E, 720QM). It's no wonder that the sales figures of mobile ATI GPUs have exploded. The fantasy adventure Risen is well accomplished by the HD 5730 at medium settings and, at high details, the game is also playable. If you set the native HD-Ready resolution, you'll reach 28 FPS (High). If it jolts here, then at medium settings you can increase to 37.5 FPS (1024 x 768). The HD 5730 has no problem in leaving the Nvidia GT 330M behind (Samsung NP-R580-JS03DE). The GT 330M reaches only 21 FPS (High, 1366x768). We've briefly given the game check, because the performance of the HD 5730 proved itself to be similar to how it performed in the MSI GE600-i5447W7P and mySN MG7.c. The frame rates are slightly better, due to the 8-thread processor, than on i5-520M- and i5-430M systems. The Mobility Radeon HD 5730 offers a very good price-performance ratio in playing current titles. 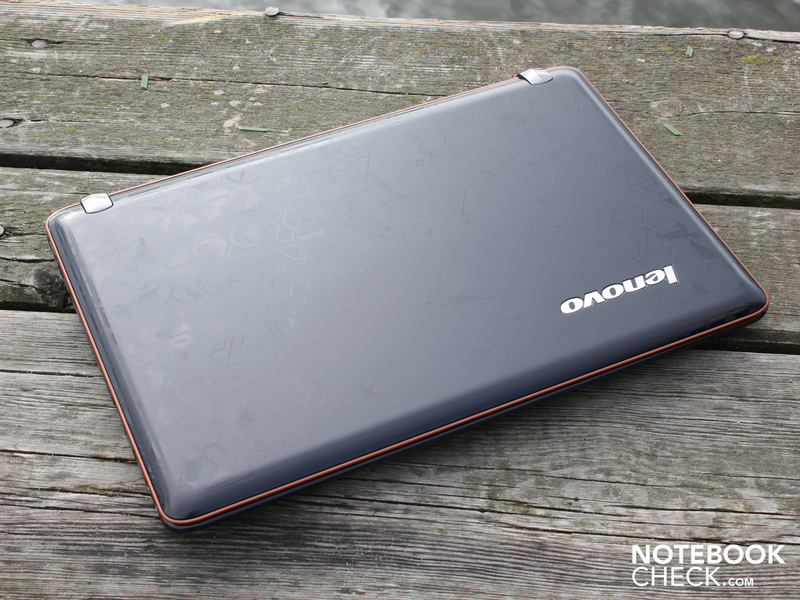 This is especially so for a low price laptop like the Lenovo Y560. 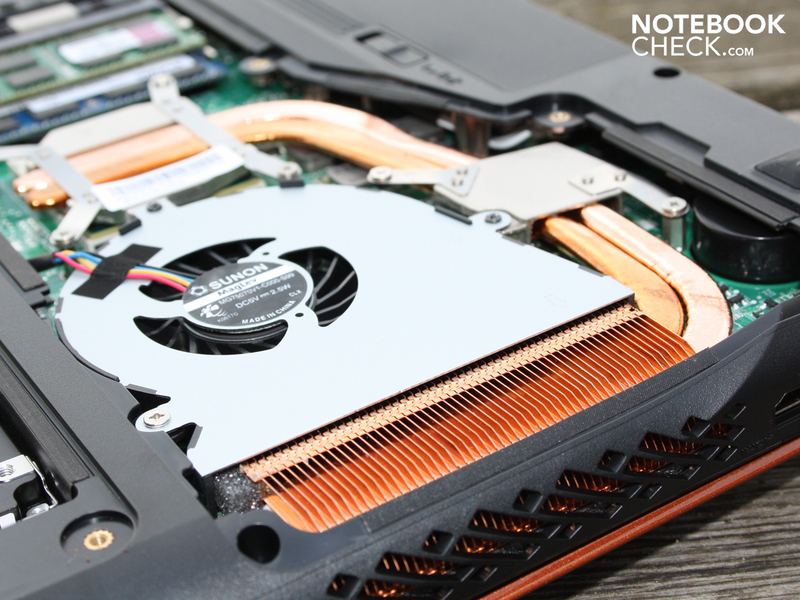 Compared to the Nvidia midrange GT 330M, the HD 5730 clearly sets itself apart. Gaming laptops can of course get a little loud. 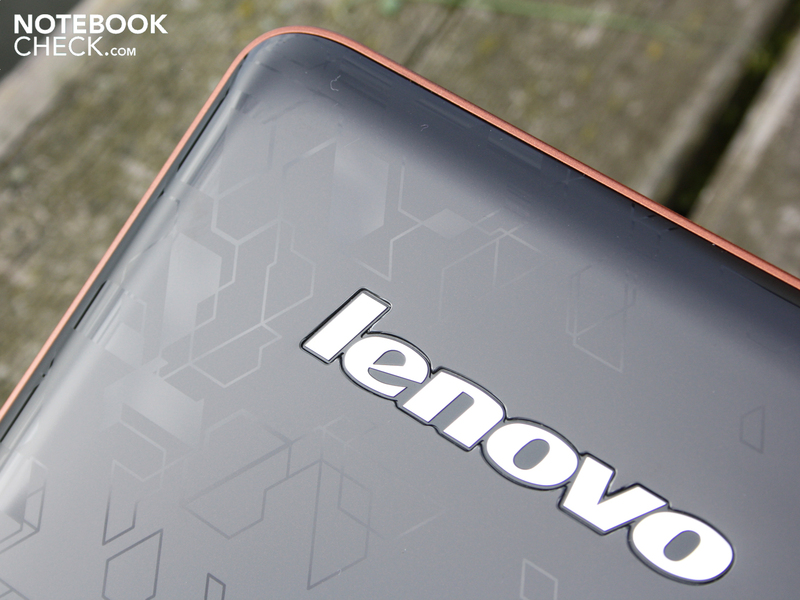 However, what the Lenovo Y560 delivers when gaming can only be described as pleasant. When gaming and in the 3D benchmarks the cooling system reaches up to 39.8 dB(A) (15 centimetres from the case edge). The sound is constant and after the end of the load, is very quick to come back down to a typical 35.5 dB(A). It calmly gets to work with stress-free office load. If you almost never put the 15.6-incher under heavy load, you'll only have to put up with 34.1 dB(A). The cooling runs constantly; it never turns off. However, the Y560 really goes for it in a stress test (Furmark & Prime95 concurrently): 45.6 dB(A). This relatively rarely reached value can of course be considered loud and disturbing. After load the fan returns to 40 dB(A) within 20 seconds. 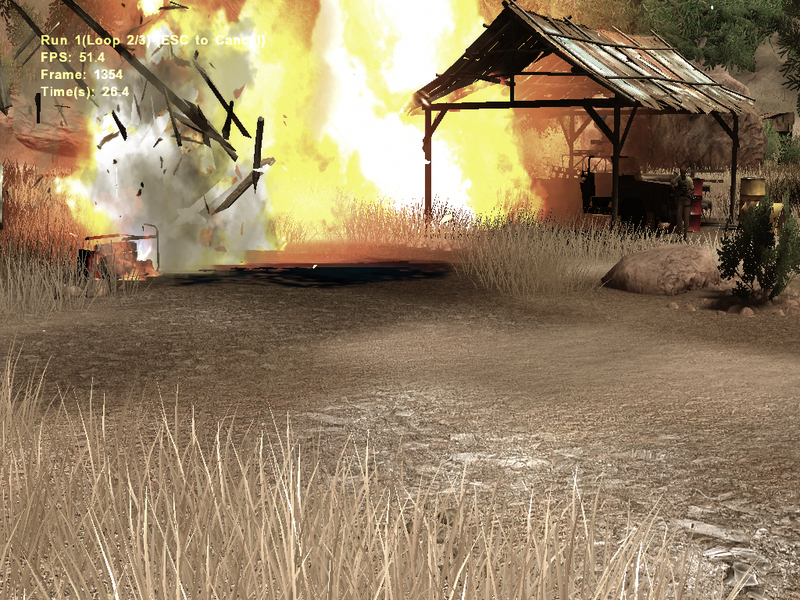 This condition is admittedly only reached during the unrealistic stress test scenario. When it comes to the decision to purchase this system, the maximum system noise should not play a large role. When playing games the upper side can heat up to just under 50 degrees (area to the left of the loudspeaker). The average doesn't go beyond more than 34.5 degrees because the other areas of the upper side are, even under high load, clearly cooler. 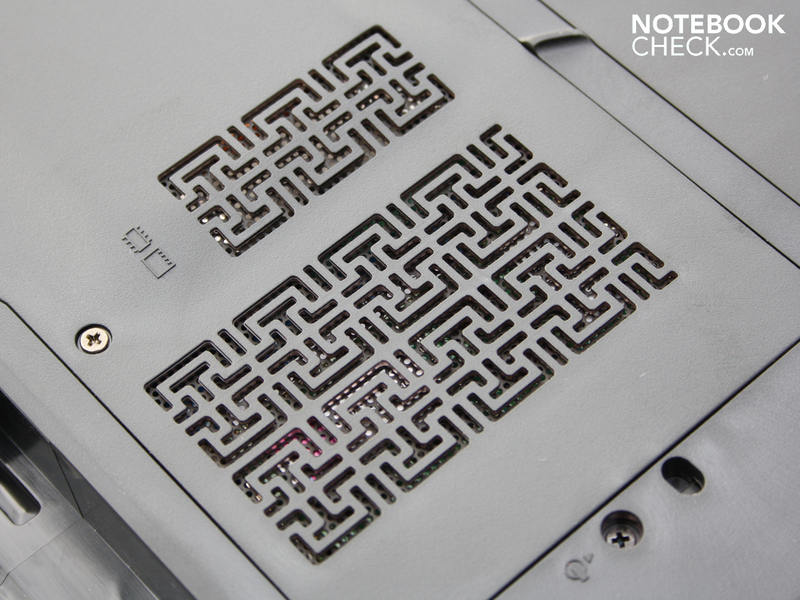 Users should keep the many fan openings on the base plate free whilst playing games. A duvet or a table cloth are the wrong surfaces for playing games. The processor in any case already reaches up to 90 degrees in the stress test. The GPU temperature reaches a maximum of 88 degrees. These borderline figures should not be heated up further by blocked vent access. Anyhow the high temperature in the stress test of over 12 hours had no negative impact on the stability of the Y560. There was no thermal throttling: 7.258 3DMarks06, 3.116 CPU Score in direct connection to the stress test (1.280 x 1.024). These are identical values to those from the normal test. (-) The maximum temperature on the upper side is 49.8 °C / 122 F, compared to the average of 36.5 °C / 98 F, ranging from 21.1 to 71 °C for the class Multimedia. For an entertainer and gamer the internal loudspeakers are important. 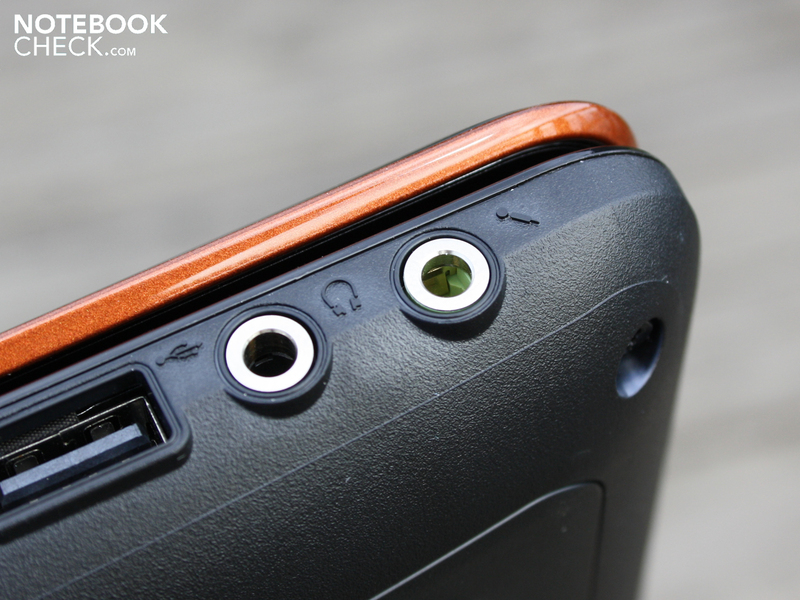 Lenovo uses stereo loudspeakers (above the keys) from JBL. There is no subwoofer. We won't shed a tear over this, as the JBL speakers offer a balanced, loud sound with authentic highs and lows. The bass make the case clearly vibrate and breathe life into games as well as high-quality music. Music fans and computer gamers will equally be keen. Positive: Even at a high volume the sound doesn't scratch, but instead gives highs and lows cleanly. Better sound is available in the Asus N71JV (SonicMaster: Altec-Lansing stereo loudspeakers & subwoofer). 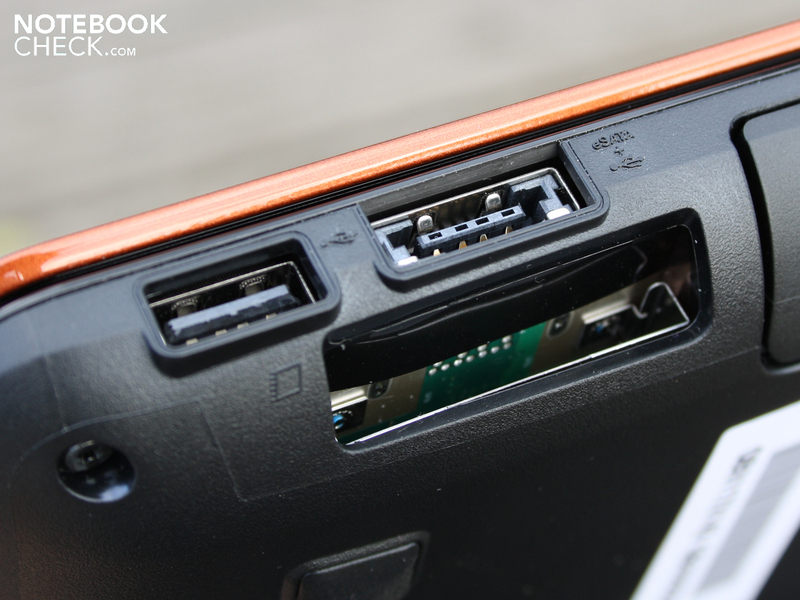 Yet if you want to connect the laptop to external speakers, this is only possible via the analogue 3.5 millimetre headphone jack. SPDIF is, unfortunately, not available. The laptop's line level after a listening test is static-free. 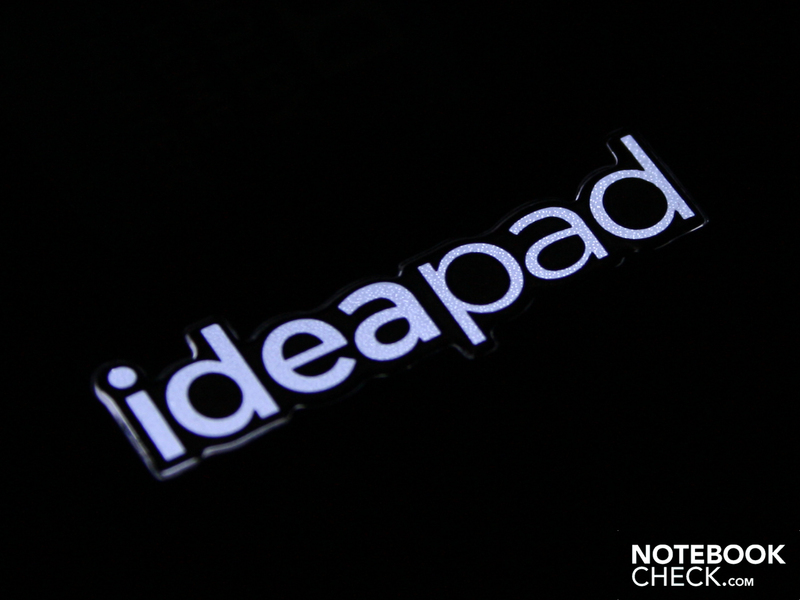 With its 57 watt hours battery (5.200 mAh) the IdeaPad Y560 doesn't reach any heights. With a non-stop internet surf session via WLAN the gamer only reaches two hours (119 minutes). 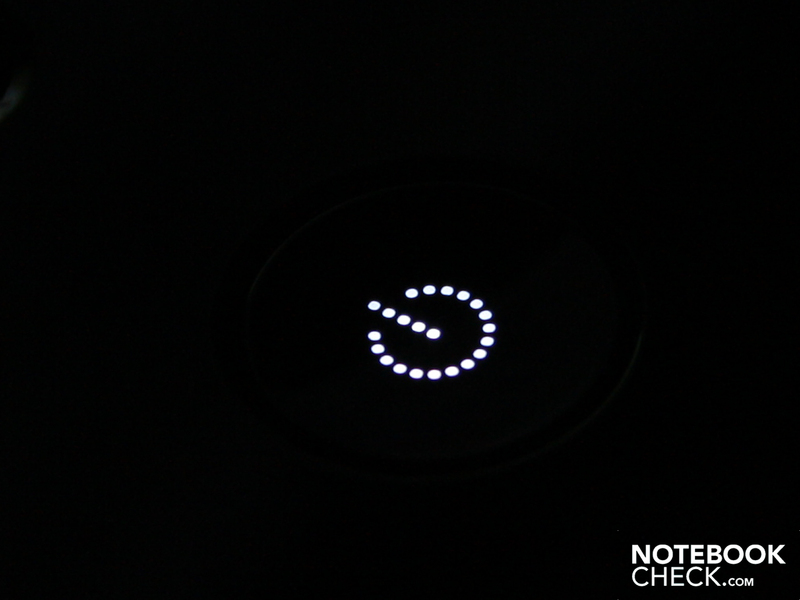 If you're quite sparing, you can increase the battery life by about one hour more. The maximum battery life with the BatteryEater Reader test was 204 minutes. This is, however, no realistic battery life, because not only was the CPU idle but also the brightness was at its minimum and the wireless modules were inactive. With the background of the weak WLAN battery life, it's not surprising that the DVD film gives up after 1:45 hours (105 minutes). With the processor under full load the Y560 holds on for only 50 minutes (BatteryEater Classic Mode). 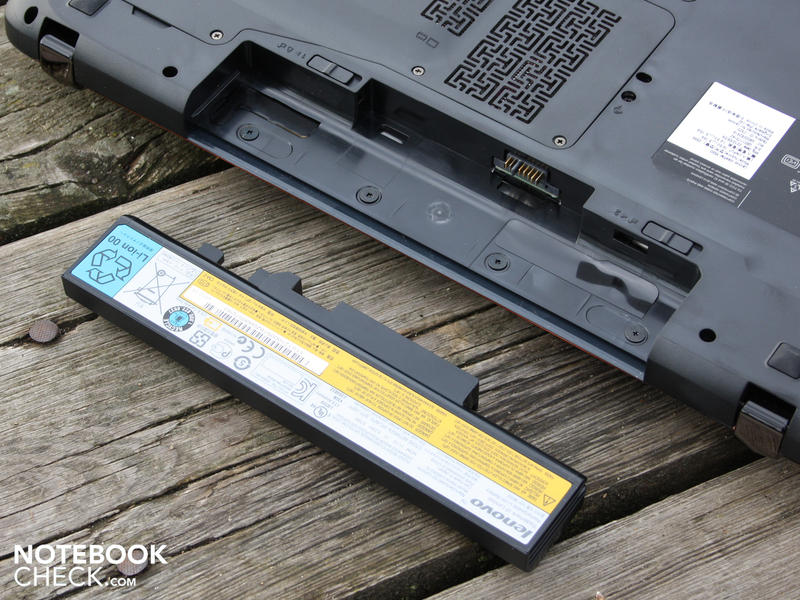 That such weak battery life doesn't have to be tolerated with a HD 5730 is shown by the MSI GE600. 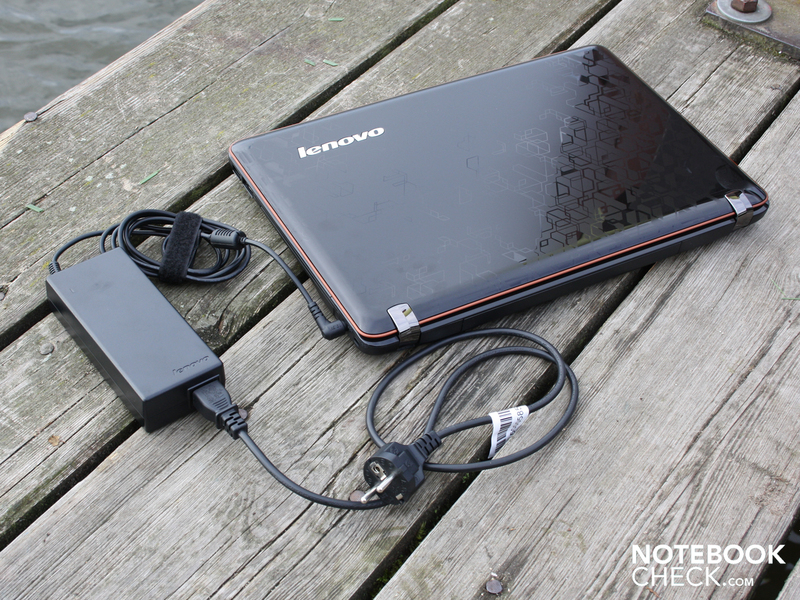 With a weaker 4400 mAh battery but Intel HD hybrid graphics, users can surf WLAN for three hours. Why the Y560 sells itself so badly is shown by the energy consumption. Idle battery life 204 Min. 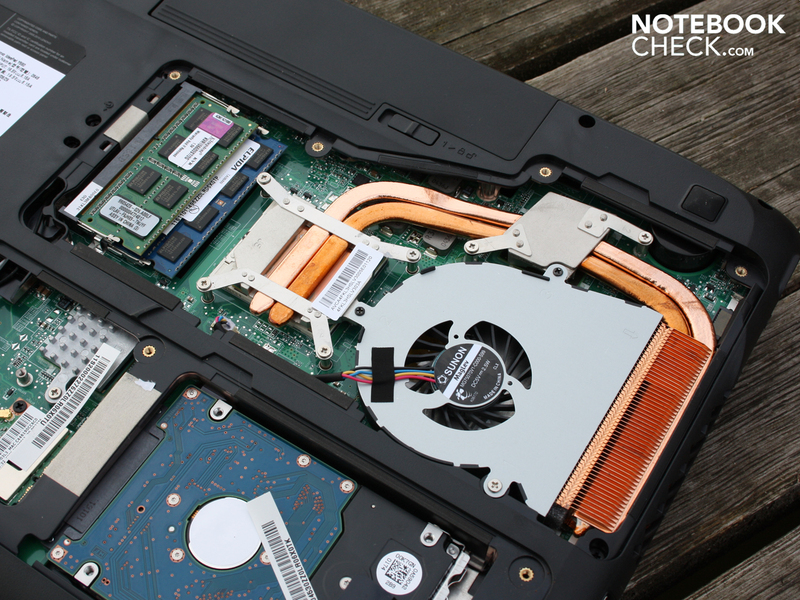 The IdeaPad Y560 isn't fussy about energy. Even when idle the energy consumption is a proud 18.1 Watt. 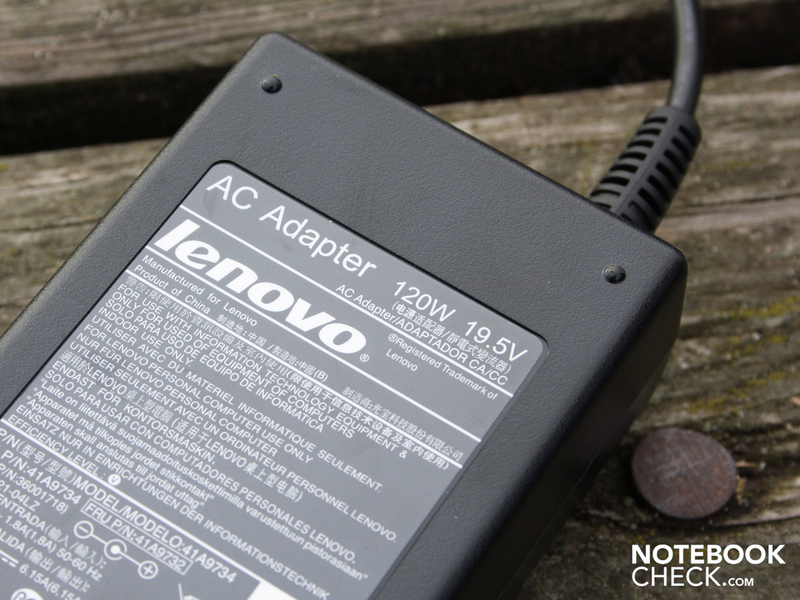 According to brightness and active wireless modules, it can, however, be 21.8 Watt. This is very high idle energy consumption. Even the mySN MG7.c (17.3-inch, i5-520M) is clearly more sparing with 12 to 21 Watt (Idle min. - max.). A toll for the strong 720QM-CPU? May well be, because the Asus N61JQ (16-inch, 720QM, HD 5730) almost needs as much with 15 to 24 Watt (Idle min. - max.). Under load the enormous energy consumption is sustained. 66.4 Watt is demanded by 3DMark06. The maximum possible energy consumption is demanded by the stress test with Prime95 and Furmark. The multimeter shows 107 Watt. Now we know why the laptop has a fat 120 Watt power supply. At this point we definitely see the effects of the 45 Watt TDP of the 720QM. The mySN MG7.c (17.3-inch) with its i5-520M (35 Watt TDP) makes do with 88.2 Watt. 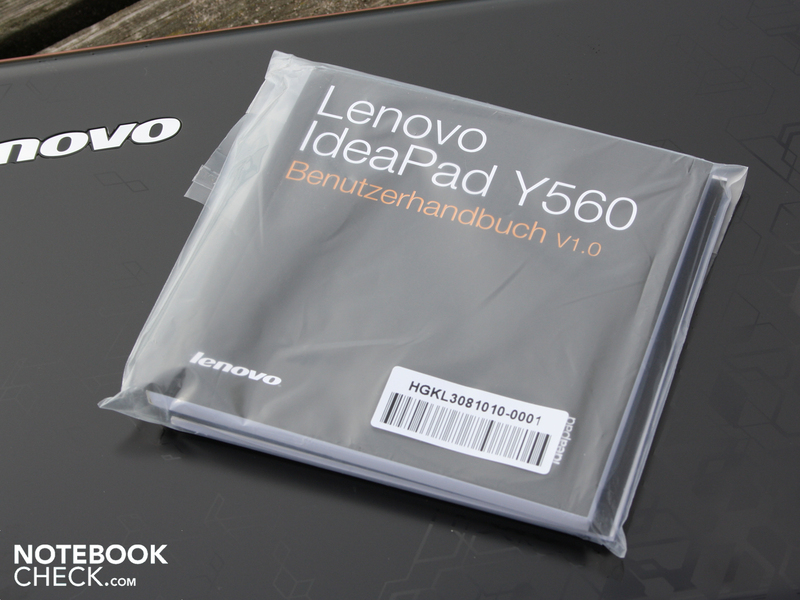 Lenovo puts all its eggs in one basket and stuffs capable hardware into the 15.6-inch Lenovo Y56029B9GE_4GB. A Quadcore CPU, the Core i7-720QM, alongside the ATI Mobility Radeon HD 5730 for 860 Euro is rarely seen. OK, our test device with manufacturer number M29B9GE was sold without an operating system. Nevertheless a good gaming performance and a super fast system performance show a good price/performance ratio. On the positive side of things the Y560 still offers a balanced sound, which doesn't even conceal the bass (loud JBL speakers). The keys and the touchpad offer a good feedback, and especially the soft mouse keys with a large stroke pleased us. The negative list is headed by a vociferous cooling system, especially under load. 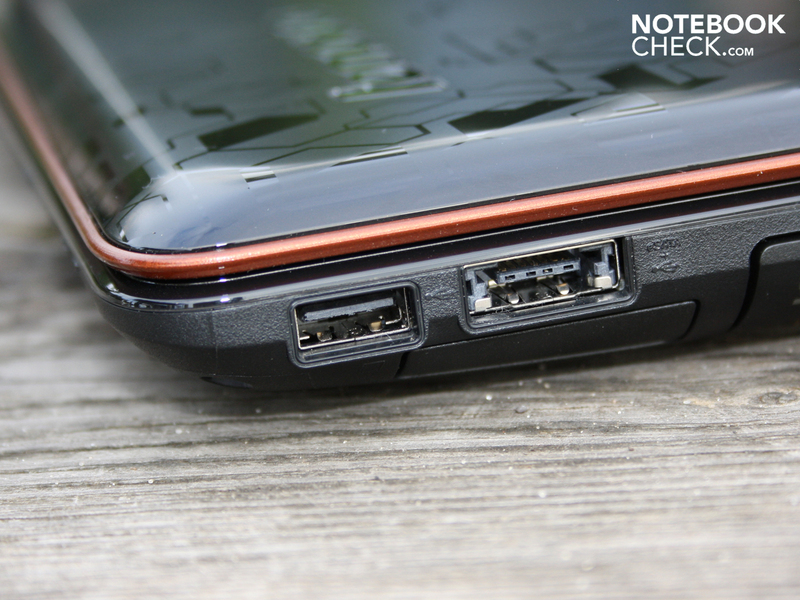 Responsible for this and the battery life is the strong quad-core 720QM. More than two hours surfing via WLAN isn't possible. Also not part of the offer is a stable case. Sure, you can get used to the bendable and in places susceptible base unit; quality looks different. The high gloss case is moreover mainstream and sees the office user screeching away. 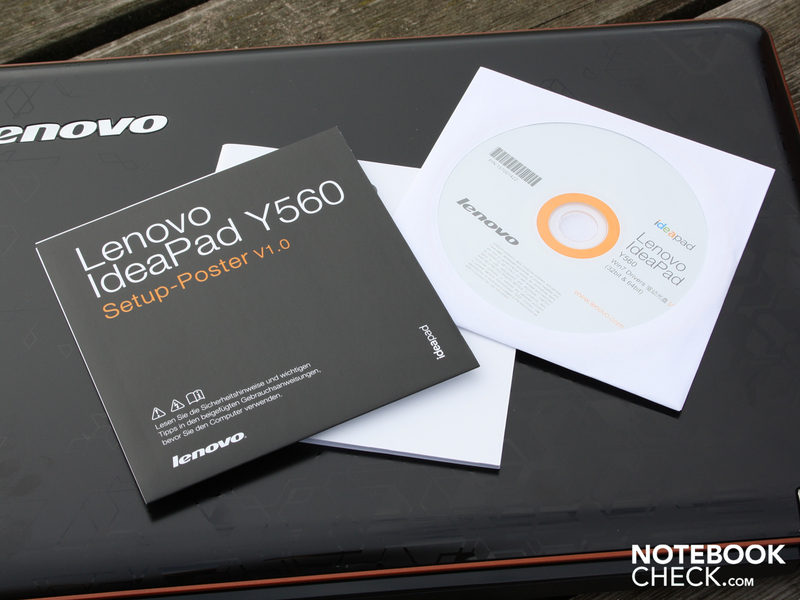 For save-aholics Lenovo offers further versions of its Y560. There are also versions with i3-350M (2.26 GHz) or i5-450M (2.4 GHz). The prices begin at just under 800 Euro. Core i7 gaming power on the cheap? The 57 Wh battery lets the 15.6-inch gamer run for two hours. The underside was optimised for strong airflow. This auxiliary foot prevents the base unit from overlying centrally. The air flow openings of the underside should not be covered up by a carpet or anything similar. Two parallel heat pipes bleed off the processor and GPU heat. On film, the ATI HD 5730 GPU. Via the air outlet the case reaches under maximum load 50 degrees (upper side). For PCIe Mini there's Intel Turbo Memory or SSD modules (up to 64GB). Our test device has different RAM modules: Kingston alongside Elpida. After loosening a screw the DVD drive can be removed. However this barely makes a difference to the weight. Moreover the absurd undertaking provides for an even less stable base unit. exists just this driver DVD. and the obligatory card reader (front). 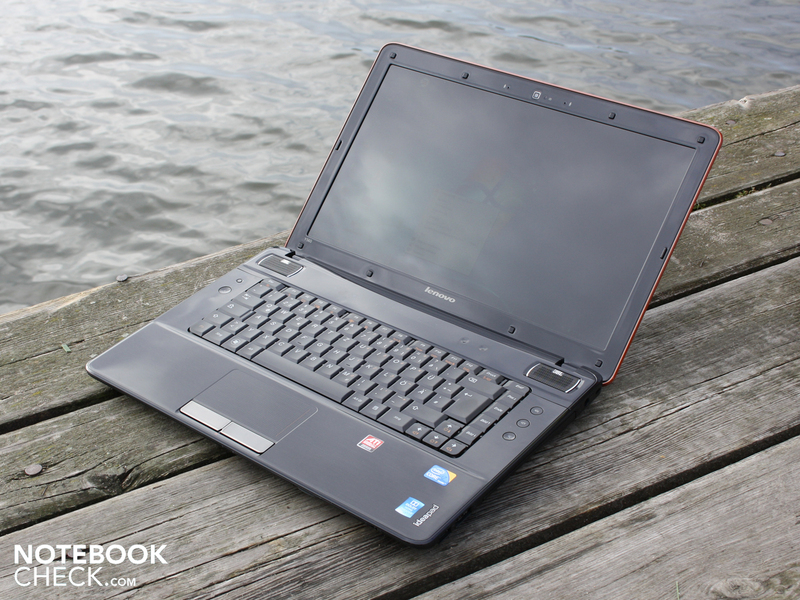 and configures its IdeaPad Y560 in its top variant with a Core i7-720QM. that such a big power supply is needed? i7-720QM and ATI HD 5730 under maximum load need 104 Watt. 120 Watt are thus advisable. The same goes for the model on the lid. The glossy surfaces are susceptible to smeary fingers (here wrist rest area). illuminates subtly and cannot be deactivated. As well as the power button, which unfortunately has a very low stroke. 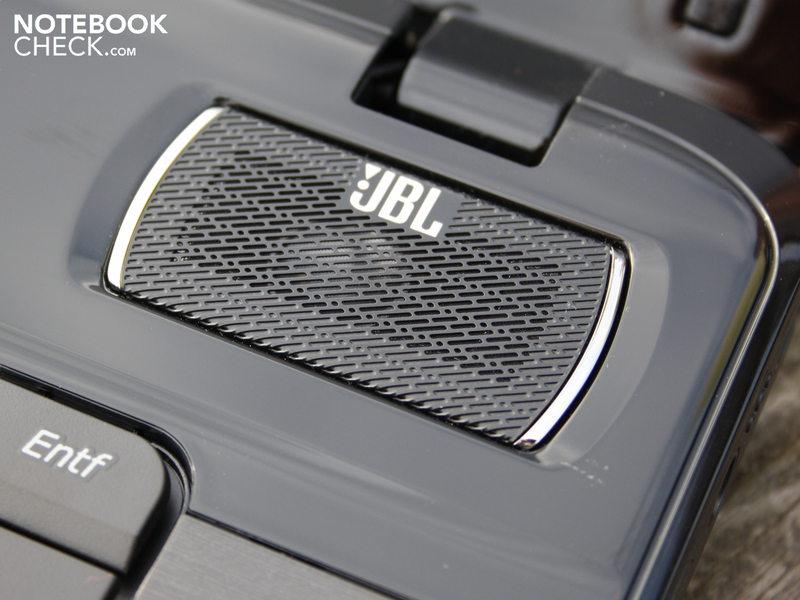 The JBL loudspeakers make a real thud for a laptop. The low-resolution VGA webcam isn't at the height of the times. 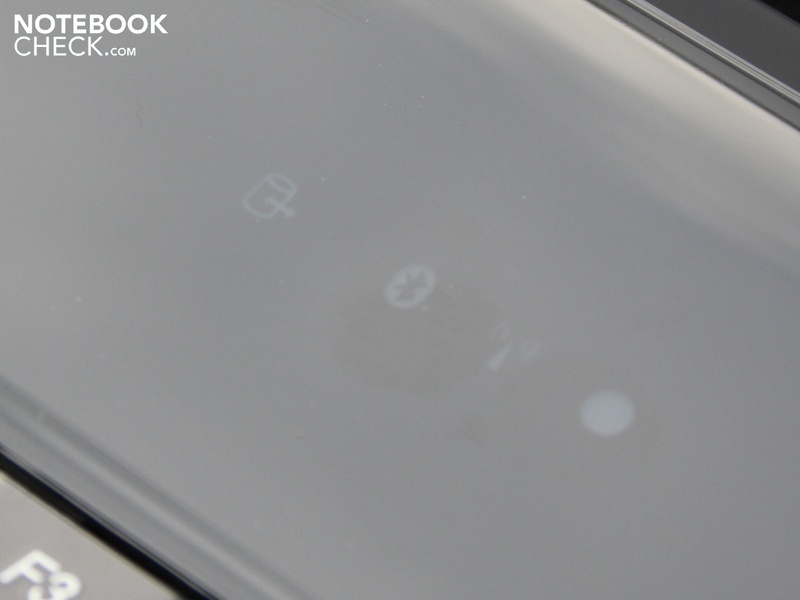 Glossy surfaces accompany the user at every turn. Particular attention was paid to the volume adjustment. A keyboard and mouse keys with strong feedback, which don't produce an annoying, cheap clicking noise. More stability for the base unit and matte surfaces. The great inputs are straight away ruined by the smeary high-gloss look of the hand rest area. It should not have been that everything was sacrificed to consumer glamour.